Graduated from "Ecole Nationale Supérieure d'Informatique et Mathematiques Appliquees" (ENSIMAG) in Grenoble, then got my PhD (1978) and "Doctorat d'Etat" (1984) degrees both from Paul Sabatier University in Toulouse (France). 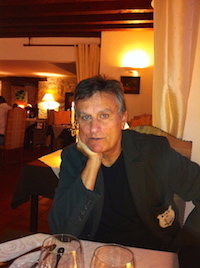 I have been at LAAS-CNRS in Toulouse since 1980, where I am currently Directeur de Recherche. I am also a member of IMT, the Institute of Mathematics of Toulouse. Twice a one-year visitor (1978-79 and 1985-86) at the Electrical Engineering Department. of the University of California at Berkeley with a fellowship from INRIA and NSF. I have done several one-month visits to Stanford University (Stanford, California), the Massachusetts Institute of Technology (MIT, Cambridge), the Mathematical Sciences Research Institute (MSRI, Berkeley), the Fields Institute (Fields, Toronto), the Institute for Mathematics and its Applications (IMA, Minneapolis), the Institute for Pure and Applied Mathematics (IPAM, UCLA), Cinvestav-IPN (Cinvestav, Mexico), Leiden University (Leiden, The Netherlands), the Tinbergen Institute (Tinbergen, Amsterdam, The Netherlands), the University of Adelaide (Adelaide, Australia), the University of South Australia (UniSA, Adelaide), the University of New South wales (UNSW, Sydney), the University of British Columbia (UBC, Vancouver). Invited Speaker at the International Congress of Mathematicians (ICM 2018), Rio de Janeiro, August 2018: Section 16: Control Theory & Optimization. 2014 Laureate of an ERC-Advanced Grant from the European Research Council (ERC) for the TAMING project.